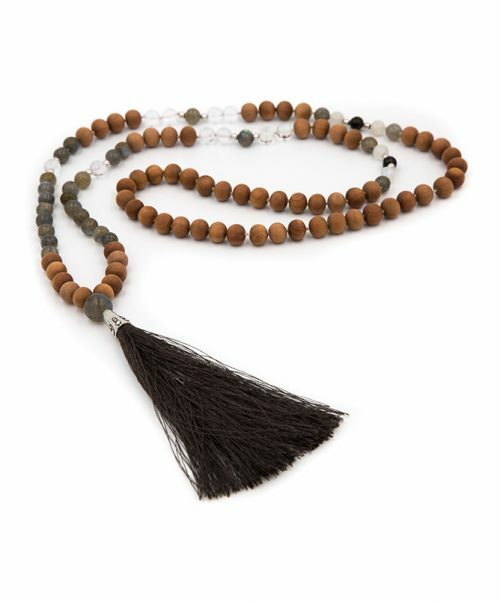 This mala features labradorite, moonstone, Himalayan crystal & black spinel. The combination is cleansing, protective and empowering. It is calming to the mind but its resonance is energising. 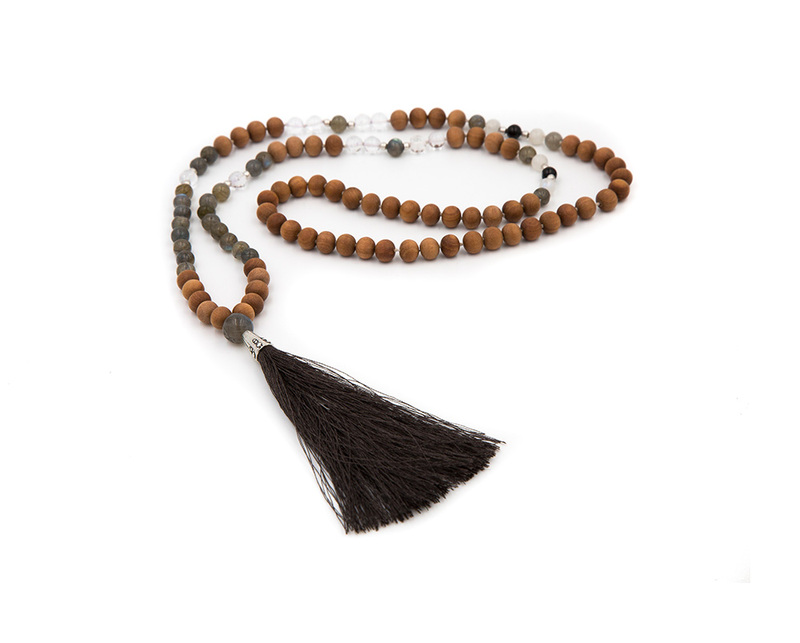 It stimulates growth and intuition, nurturing transformation, strength and perseverance.